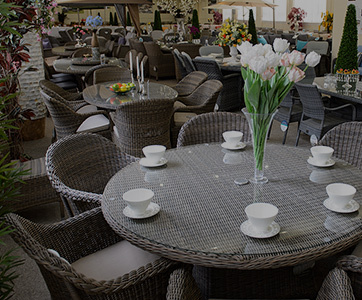 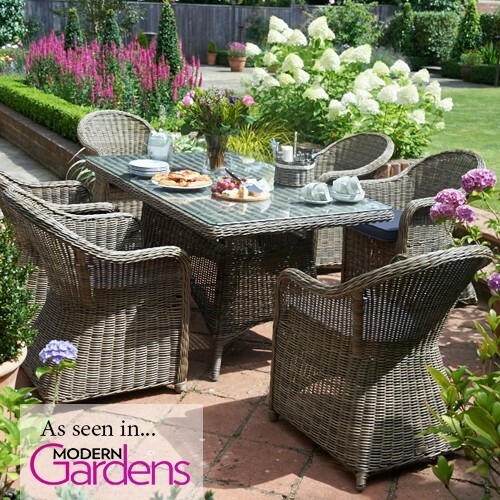 Whatever your garden size, you can still enjoy this Mayfair garden dining set. 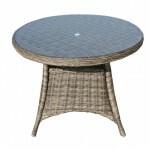 The favourable footprint of this set is perfect for a smaller deck, patio or sun room, yet it is still big on style. 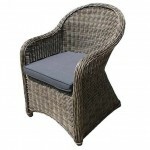 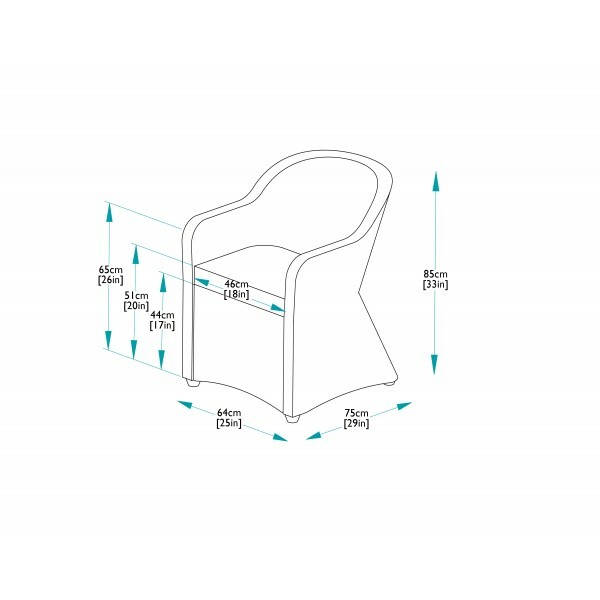 The design is classically elegant with rolling edges and laid-back curves. 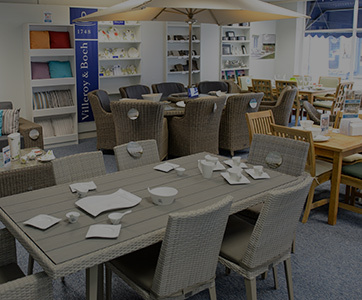 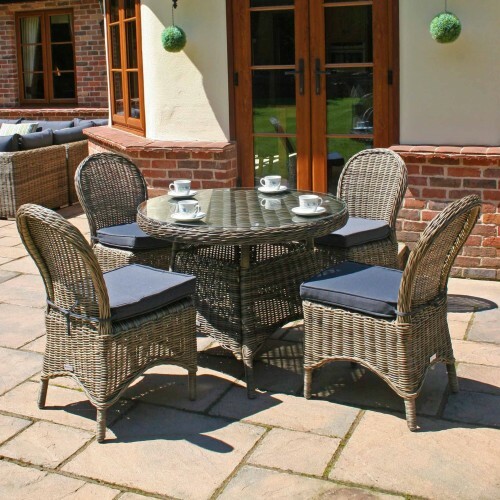 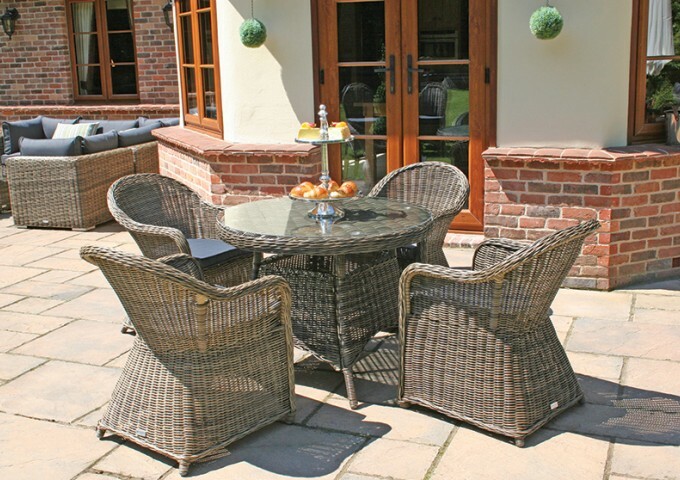 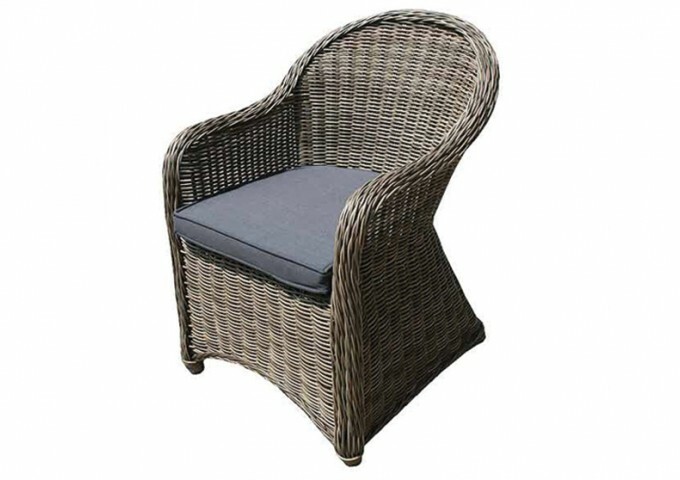 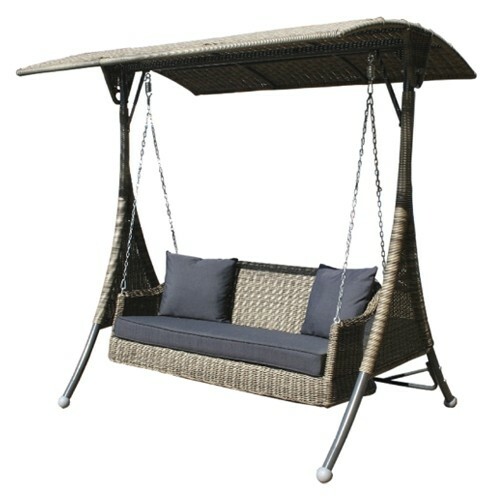 This range does not compromise on convenience either, as the high quality synthetic rattan and aluminium construction is reliably weatherproof and only requires an occasional cleaning as far as maintenance is concerned. 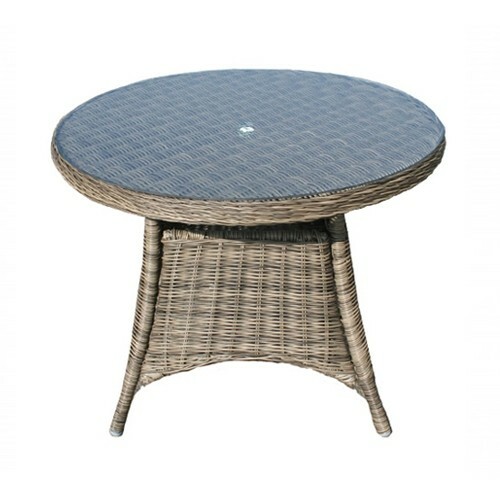 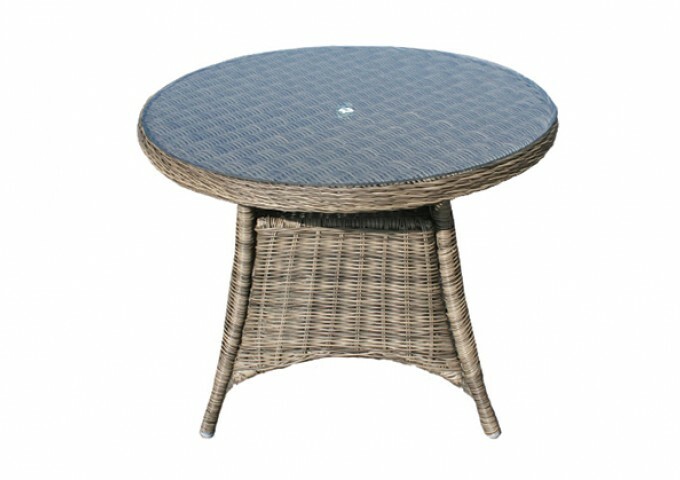 The round table is topped in clear safety glass with a hole to accommodate a parasol when you and your guests require a little shade. 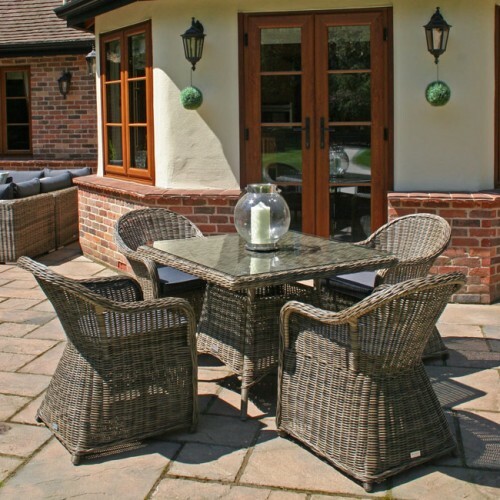 Paired with the chairs, this set presents a charming picture to entice you outdoors more than ever before. 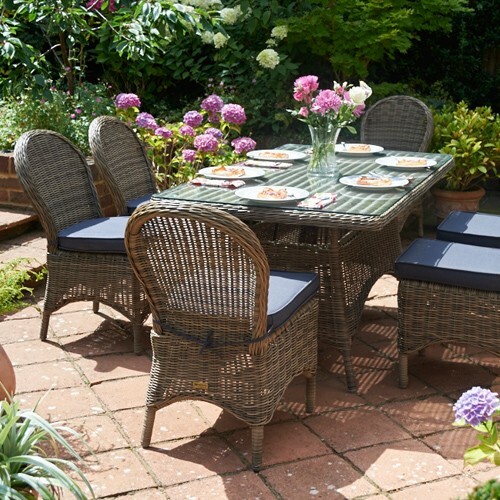 The matching dining armchairs offer comfort for relaxed dining and come with padded cushions upholstered with grey coloured covers. 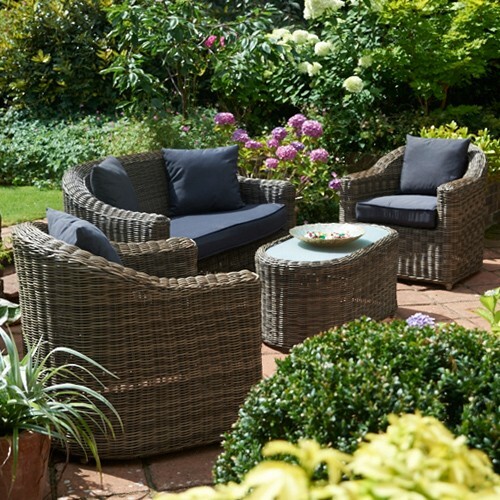 "Lovely quality well worth the money"
"Great product choice, great customer service items delivered and unpacked where I wanted them." 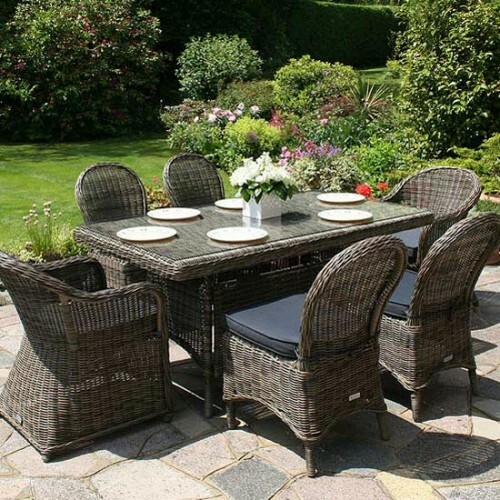 "We ordered our Square Mayfair furniture set to complete our garden. 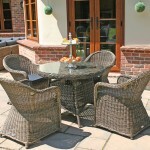 The quality and workmanship of the furniture is of a very high standard. 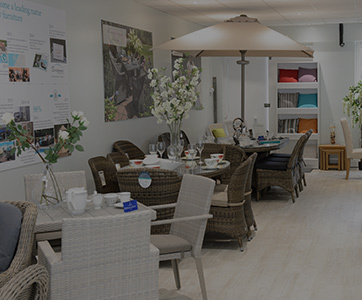 The colouring we chose from the website was as we expected. 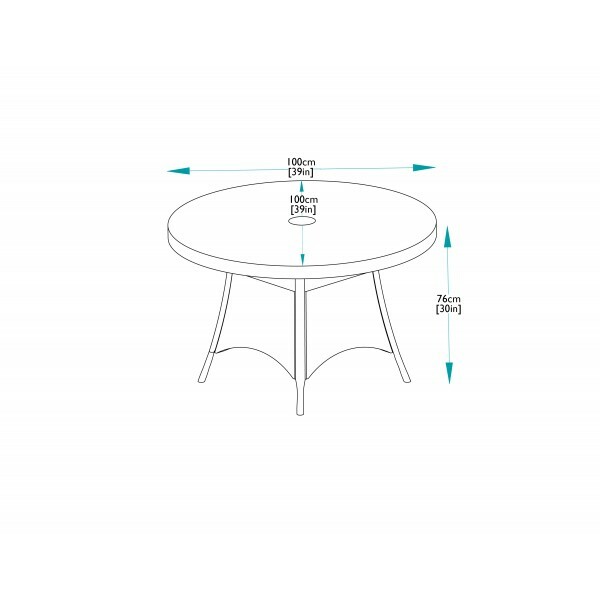 The glass for the table fits perfectly with no protruding edges. 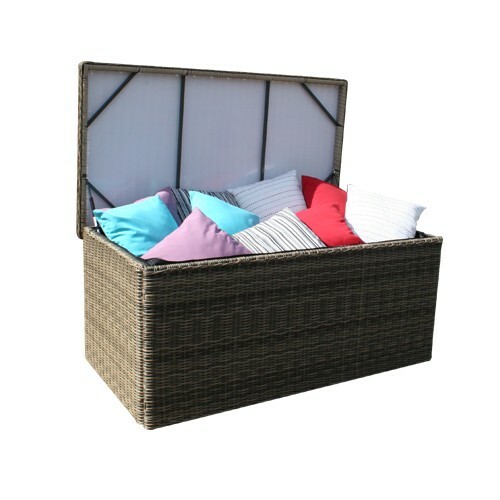 The courier delivery was excellent. 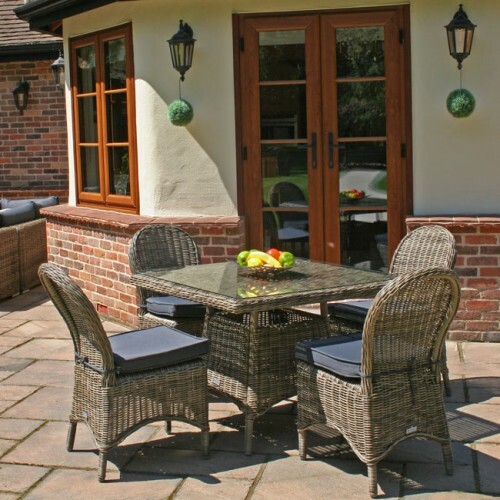 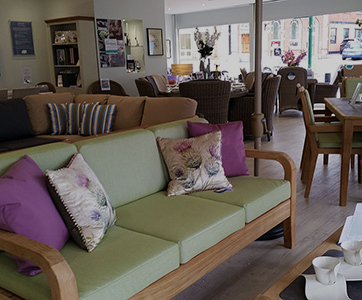 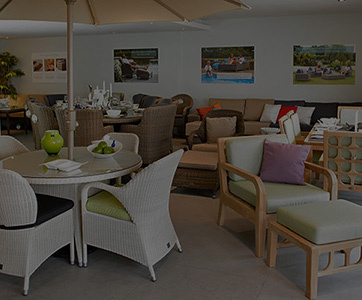 We are extremely pleased with our furniture and would thoroughly recommend Bridgman to provide high quality garden furniture."